"My focus is to show a different side of pharmacy and what we can provide beyond just medicines"
Elizabeth Lawless stepped up as full-time pharmacist manager at The Health Dispensary in Neath, South Wales – after four years working there part-time – at the beginning of 2018, during a period of massive upheaval at the pharmacy. The pharmacy went through a refit and several “key staff departures” – losing two members of staff, as well as three who retired and two who went on maternity leave. But Ms Lawless has overcome these challenges, and handled her growing responsibilities, to transform the pharmacy and team morale. “When I first came here, the business existed as two separate entities next door to each other, in separate buildings – a pharmacy with two dispensaries upstairs and downstairs, and a wellness centre – which meant the team was quite fragmented and things didn't flow very well,” explains Ms Lawless. 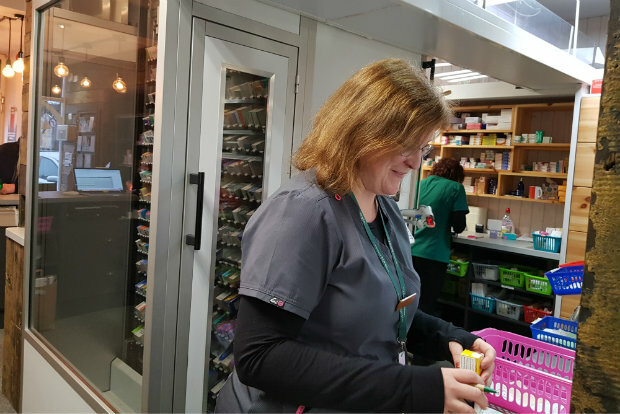 Ms Lawless has been instrumental in the pharmacy exceeding its targets, by using the patient medication record (PMR) system to send text reminders for flu vaccinations and hearing tests, as well as running a level 3 smoking cessation service. She also introduced a process to flag all new medicines on the PMR, so it is clear whether they can be dealt with by a checking technician, or if a pharmacist is required. During her early days at the pharmacy, Ms Lawless instigated an initiative to use text messaging to target patients who would benefit from medicines use reviews (MURs). 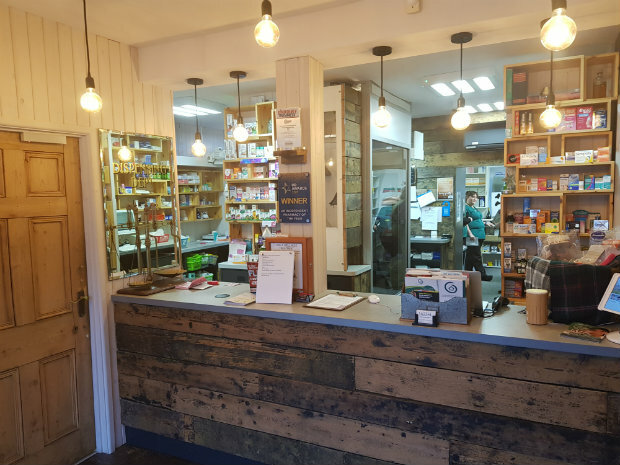 “We were finding a lot of people used to come in, collect their medicines and go, so you weren’t having a chance to have a chat with them,” she says. The scheme has been so successful that Ms Lawless predicts the pharmacy is going to hit the 400 MUR target this year, up from 250 last year. Ms Lawless sees every MUR as an opportunity to promote a more holistic approach to self care. To reflect this approach, she starts her MURs with the simple question: “Are you feeling well?” which initiates a dialogue with patients. It’s not just patients who benefit from Ms Lawless’s empathic communication skills – she also uses them to support and motivate her team. “We were having big team meetings once a quarter, but it just felt too long, so we started Tuesday morning mini-meetings,” she says. The pharmacy is also funding a PhD psychology student, and Ms Lawless says the pharmacy team uses insights from the research to “look at interventions that we can make above and beyond our brief chats to really make a positive impact in the community”. And the reach of Ms Lawless’s care doesn’t stop there. She has an in-depth knowledge of complementary medicine, which she pairs with what The Health Dispensary’s owner Ali Sparkes calls her “sensible clinical approach”. She also works with the Neath-based Ospreys professional rugby union team – as an advisor to the medical performance manager – and is looking to add a travel medicine service to the pharmacy's offering. She even finds time for the occasional locum shift in different pharmacies to maintain a sector-wide view. When she entered Ms Lawless for the C+D Award, Ms Sparkes described her as “simply the best pharmacist I've come across in over 30 years of pharmacy practice”. Could you win the Community Pharmacist of the Year Award in 2019? Entries for all 14 categories – including the new Locum of the Year Award – are open until Friday, February 22, so find out more and enter below. 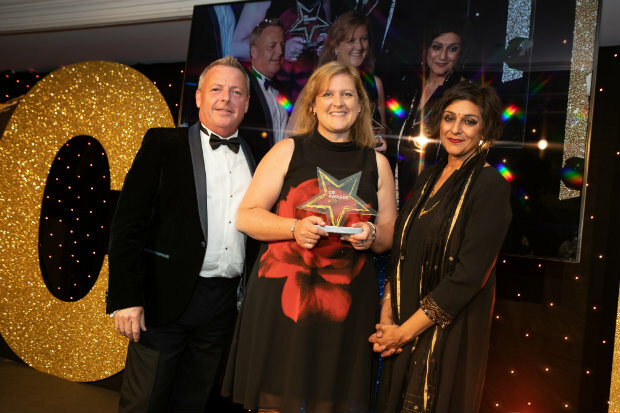 Could you be C+D's Community Pharmacist of the Year 2019? It's said she is a law unto herself, but don't think any less of her!